The Wine Advocate - Liger-Belairs 2007 Vosne-Romanee rather unusually mingles scents of cherry, cinnamon, toasted pecan, resin, and tomato foliage. The wines pungency and tactile impingement of cinnamon spice help convey a more emphatic palate presence and at the same time this is less delicate than the corresponding 2008. That it sends out somewhat mixed messages in terms of ripeness does not prevent if from being intriguingly delicious. Enjoy it over the next 2-3 years. The Liger-Belair family has a glorious history combining the church, the army and the wine trade. The first General Liger-Belair acquired the Chateau de Vosne-Romanée in 1815, as well as various vineyards, and when his nephew and adopted heir married a Marey heiress, the empire grew rapidly: at one point the Liger-Belairs owned La Tâche, La Romanée, La Grande Rue and significant holdings of Clos de Vougeot and Chambertin, along with an array of Vosne-Romanée premiers crus including vines in Malconsorts, Chaumes, Reignots, Suchots and Brûlées. Unfortunately, complicated succession issues meant that the whole domaine was sold at auction in August 1933. Canon Just Liger-Belair and Comte Michel Liger-Belair between them managed to save La Romanée and small holdings of Aux Reignots and Les Chaumes. Comte Michel’s son Comte Henri devoted his career to the army, reaching the rank of general like his forebear, so the vines were looked after by sharecroppers and the wines sold through négociants. 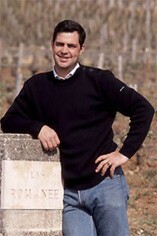 Vicomte Louis-Michel Liger-Belair decided to recreate the family wine domaine in 2000, beginning with two plots of Vosne-Romanée and premier cru Les Chaumes. Two years later he took back control of Aux Reignots and La Romanée, although a commercial contract with Bouchard Père & Fils to distribute a proportion of the latter continued until 2006. In that year also a further 5.5 hectares of vineyards, on a farming contract from the Lamadon family, brought the domaine up to its present size. The aim is to pick quickly once the grapes are ripe, sort them thoroughly on a table de tri, remove all the stalks and then cool the grapes to below 15ºC/59ºF for a week of pre-maceration. After the fermentation, using more pumping over than punching down, Louis-Michel likes a significant settling off the lees so that the wines will not need racking. They are raised mostly in new wood from two different coopers and three forests, then assembled in tank after 13 to 15 months and bottled two to three months later without fining or filtration.